I feel that trying to pin people and make them wear things that withhold their religion is worrisome and shouldn’t be done. People should not have to make a stand for something they have ascribed. They can’t change their religion; they shouldn’t have to be told to wear something that they can’t change. Donald Trump is just evil, and his actions shouldn’t be tolerated by anybody on this earth. His actions are evil and just not right under any circumstances. We have to get him out of office as soon as possible. 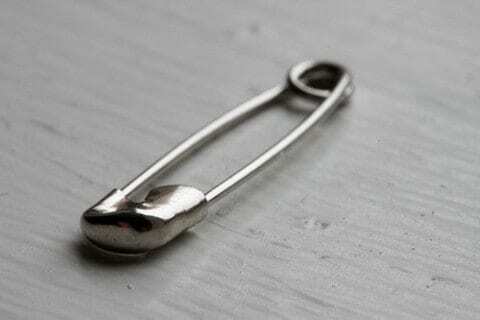 Safety Pins by Nandi is licensed under a Creative Commons Attribution-ShareAlike 4.0 International License. The safety pins represent a symbol to people to say that they’re a minority safe person, and the safety pin is a symbol of protest against Trump’s recent proposals for immigration, etc! Of course, people shouldn’t be forced to wear these safety pins or that will seem like a very cult-like or tyrranic action. Love to hear more of your thoughts of safety pins.